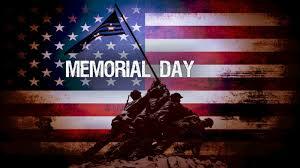 Memorial Day is this Monday and it’s a day to remember the brave men and women who gave their lives for our freedom. It’s also a great opportunity to say Thank You to the men and women who have served, or are currently serving, our country and their families who support them! There is a group of authors who have pledged part or all of their royalties this week to Veteran charity organizations through Memorial Day. The authors participating are also veterans, so this is a fantastic way for bookish people to support veterans who give back to other veterans. A win for all! If you are active on social media, you can use the hashtag #vetsgiveback to help raise awareness as well. We hope you all have a safe Memorial Day weekend!